The Herdade do Esporão presents itself as an Estate steeped in history, producer of outstanding quality wines. The Esporão vines are located in the heart of Reguengos de Monsaraz, where wines are more balanced and seductive, simultaneously thriving and pleasant, luxuriant and with a good ageing potential. If the vines are the lung of the Herdade do Esporão, the cellar is the heart that beats to the rhythm of the harvest and as the result of the work defined by the calendar and by the oenology team. The Tower of Esporão, the estate icon, is one of the most important towers built in the transition from the Middle Ages to the Modern Age, and it is believed that it was built by Morgado D. Álvaro Mendes de Vasconcelos, between the years 1457 and 1490. The main function of this kind of towers was housing but they could also be used as safe refuges for people and goods in case of extreme need. But, above all, they were a symbol of lordship and military power. Due to the course of time, the Torre do Esporão has lost its splendour. However, once this tower is a striking monument of the Portuguese heritage, Esporão took the initiative to begin the process of rehabilitation of this national monument by its own account. At present, the Torre do Esporão is the most important and representative building of the whole set that makes up the Herdade do Esporão. On the ground floor of the tower you can visit an Archaeological Museum, where several findings and pieces of the Esporão and Povoado dos Perdigões are exhibited. Built in 1987, it was developed with the use of the principle of gravity. It is equipped with three different lines fitted with different technologies. 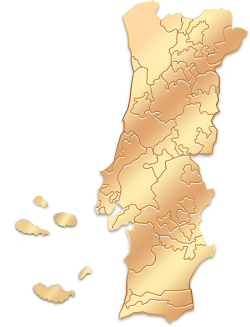 One of the lines is restricted to Monte Velho wine and the second line, that has different reassembly options, is intended for Monte Velho and Defesa wines. The third line, where a set of mechanic mills is placed, it is reserved for the wines Esporão Reserva and Varietal reds. It was designed to wrap two distinct wine making lines, one for the wines of largest volume as Defesa and Monte Velho, and another one aimed at wines of a higher segment such as Varietal, Esporão Reserva and Esporão Private Selection. Recently rebuilt, in the year of 2014, it was designed from scratch for the production of small volume wines and meant the return to the origins and the reinvention of the legacy of making the wine in stone mills, in this particular case, marble mills. This new mills cellar recovers ancient traditions, beginning with its own construction with the ancient building method rammed earth, an icon of the Alentejo region, as well as the wine production techniques that recreate the ideal conditions for foot treading in the Herdade. With a huge ecological potential, the constant philosophy in all the activities of Esporão, this technique allows also to recover an ancient tradition of the region, ensuring a final result that increases the productive capacity of the cellar (focus on quantity) bringing together the ideal conditions for producing great wine (focus on quality). The great barrels of the Esporão, one of the tourist attractions of the Herdade do Esporão, resemble in structure to a underground tunnel with its fifteen meters wide and is firmly buried fifteen meters deep to allow keeping the best conditions of temperature and humidity naturally. It also has lateral niches where wine already bottled is stored and aged, plus a storeroom where a collection of the best historic harvests of the Herdade is kept. The Herdade adopted a kitchen team young and enthusiast that privilege the traditional gastronomy and the typical dishes of this region but never neglecting some contemporary, managing a cuisine that meets and exceeds the highest standards of quality and functionality. This large and comfortable space was designed to maximize the experience of tasting and the choice of Herdade do Esporão products, as well as to link the visit to the cellars. It has two outdoor terraces. The furniture was designed exclusively for this area and was based on the discovery of Portuguese raw materials. Area with capacity to welcome up to 100 people and flexibility to be adapted through different types of furniture and equipment to several different uses such as dining, wine and olive oil tasting, wine and food courses, meetings and company presentations. Built on the ground floor of the building, it has a link to the cloisters and gardens. Regional style complex on an extensive property with vineyards and a Tower. We had the degustation lunch with matching wines and it was a joy from beginning to end. The Wine shop is impressive and offers lots of selection.